Most nations never reach their potential! This statement applies not only to basket-case nations such as Haiti and Yemen, or even struggling nations such as Myanmar and Laos. We can make the same statement about most industrial nations, including Italy, Spain, Portugal and Greece. Do you even think that the United States has reached its true potential with 15 percent of its people living in poverty and 30 percent of its students who don’t go to college after high school. What do we mean by a nation reaching its true potential? Every nation inherits a set of natural resources and its people have a certain history and culture and aptitudes. Does that nation make good use of its national resources? Do its people manage to achieve their aspirations? The answer is no in virtually all cases. 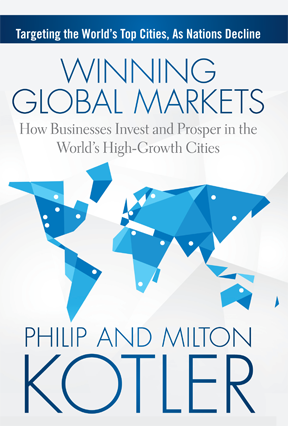 Economists have developed a whole field – economic development theory – to help nations do better. 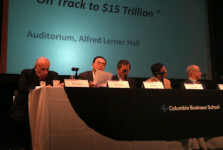 Some development economists emphasize the idea of capital formation to increase labor productivity. Some emphasize international trade where the nation strives to export more than it imports. Some see the answer in human capital development where education and training would bring about the skills needed for the nation to grow and prosper. Others see the key to lie in entrepreneurs who need support to build new enterprises to provide the needed job. To facilitate world economic growth, two international organizations play that role – the World Bank (WB) and the International Monetary Fund (IMF). Other economic players helping nations succeed are Central Banks such as the Federal Reserve in the U.S., the Deutsche Bank in Germany, or the European Central Bank. Their job is to facilitate and regulate the local, national and regional needs of businesses for borrowing, lending and investing. 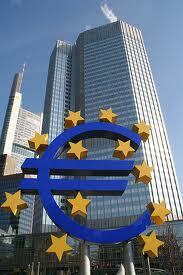 Good banking facilities and practices are essential to help nations reach their potential. But banking practices sometimes fail to work, as when large banks resist extending needed loans or are overgenerous in extending credit. Central Banks have to steer the economy between these two extremes. In 2005, I published The Marketing of Nations to explain the economic forces that could be harnessed to improve a nation’s economic standing. I had the pleasure of meeting Indonesia’s President Susilo Bamban Yudhoyono and he told me that he read my book on two occasions, one when he was a minister in the cabinet and once again when he became the President of Indonesia. I nourish the thought that some of the reforms introduced in Indonesia and some of its recent impressive growth had something to do with the program that I outlined in my book. The task of a nation reaching its potential goes far beyond the role of economics. Good economic theory is often twisted and defeated by political factors, geographic factors, and cultural factors. Greed, corruption, cronyism, and cultural clashes play a role in keeping a nation from fulfilling its potential. The “Arab Spring” nations – Libya, Egypt, Tunisia – are saddled with many problems and need to move to a new constitution and the rule of law if they are to begin to make any progress. What I realize today is how complicated it is to run a nation well. How can the different vested interest groups inside the country find common ground? How can the nation adapt to the rapidly changing world with its technological advances and its globalization push? Consider that a nation’s future is determined as much by its dependency of foreign markets, foreign funds and foreign oil. Does it even make sense to consider a nation to be in control of its destiny? How autonomous is Italy, Spain, Greece, France or any of the Euro zone nations, which are held in check by the European Central Bank? How autonomous are the developing and emerging nations that depend upon foreign domestic investment for economic growth? No nation is independent anymore. Today’s nations exist and operate in a complex network and web of international coalitions, institutions, and dependencies. Yet I hope that each nation finally discovers the appropriate pathway to arrive at its own true potential. That is a very good tip especially to those fresh to the blogosphere. Simple but very accurate info… Appreciate your sharing this one. A must read article! 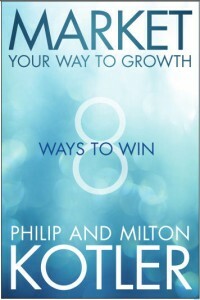 If you are pleased with our blog, you will be pleased with our new book Market You Way to Growth: Eight Ways to Win, by Philip and Milton Kotler, 2013, Wiley.